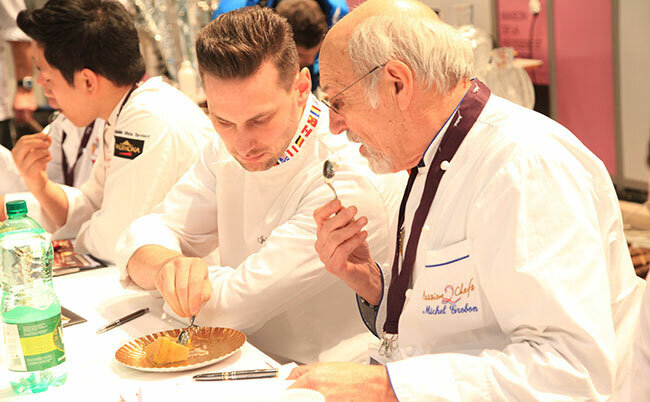 The Open des Desserts Glacés, which took place during the Sirha fair, concluded its seventh edition with the victory of Philippe Faur. Behind him, the second place went to Jérôme Cellier, and the third to Yoann Hasselbein. 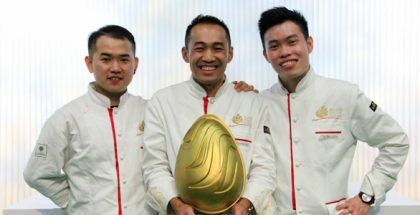 With the sea as their theme, the six candidates (the other three were Franck Fouchereau, Boris Lusseau and Thanh-Duy Mai) had to create two frozen cakes for eight people, an ice sculpture and a nougatine showpiece in seven hours. This long established French competition with an exceptional judges’ panel, chaired by MOF glacier Joseph Aimar (Meilleur Ouvrier de France Glacier 1976) acting as its president, as well as some other significant and very relevant professionals such as relevant as Jean-Paul Duchamp, Luc Debove, Gérard Chatenet, Gilles Tissier, Catherine Racaniere, André Guillot, Philippe Hiriart, and Didier Stephan. 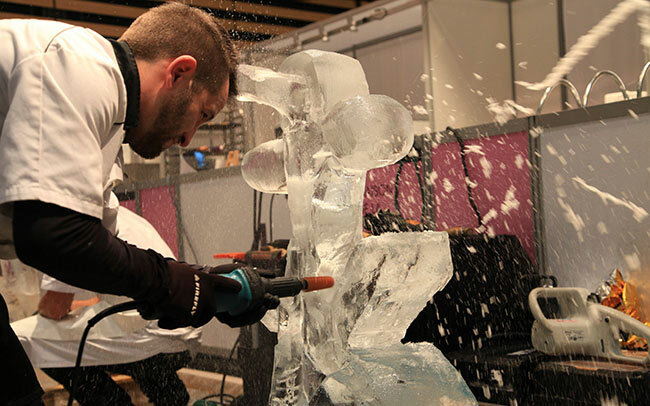 The competition was also sponsored by the Confédération Nationale des Glaciers de France (CNGF) and the Association Nationale des Sculpteurs sur Glace Hydrique. 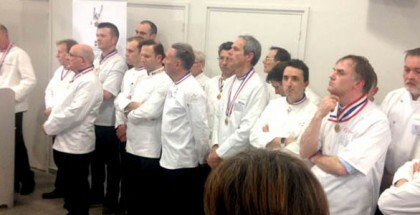 Despite not being crowned MOF Glacier in his day, the appearance of Philippe Faur on the cover of the French magazine Gault & Millau, and ranked in first place of French ice cream parlours by this prestigious gastronomic publication, meant that he was already considered as one of France’s emerging talents of recent years. 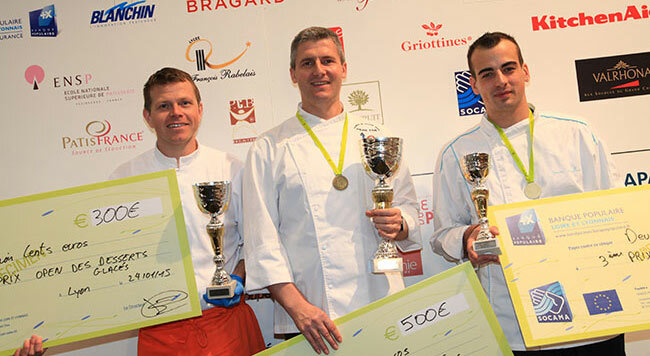 His victory in the seventh edition of the Open des Desserts Glacés also establishes him among the ice cream makers with the most consolidated backgrounds. After studying at Lenôtre and Bellouet Conseil, Philippe Faur set up his own company in 1998, opening his own lab in Caumont, in the outskirts of Saint Girons. The Philippe Faur ice cream parlours continued to expand with the opening of new shops, two in Toulouse, and one in Albi and Aix-en-Provence. As Philippe Faur likes to say, “behind the quality of a product, there’s a man with a history”.